Front Row (left to right): Henry Triplett, William Melton, Ben Adams, Zelda Hale, Herman Hale; Back Row: Charles "Turkey" Hughes, H.L. Spurlock, Willie Cornett, William Insko, Virgil Fryman, Orland Dale Lea, Claude Waldrop. 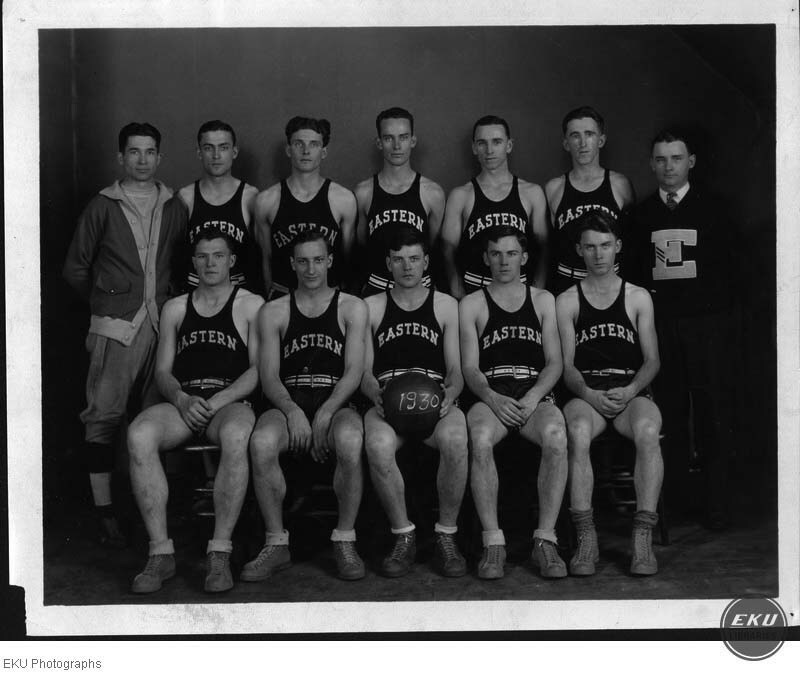 “1929-1930 Eastern Men's Basketball Team,” Digital Collections, accessed April 24, 2019, https://digitalcollections.eku.edu/items/show/32784.